You may think that selling skincare products is costly and not very easy, and you may be right – or very, very wrong. There are various factors which prove one or the other impression right or wrong. It depends on which line or brand of products you’re selling, their ingredients, their quality, and their price. We have various suggestions and tips on how to overcome challenges or perceived obstacles that you may encounter in your role as a Papillon skincare sales agent and distributor – a simple, straightforward, easy way to earn your entire income or supplement your existing earnings with extra money. 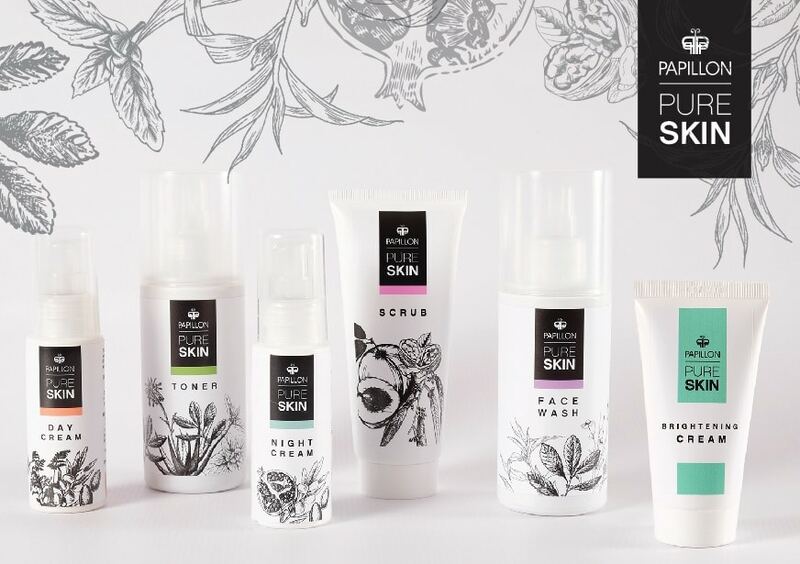 Although Papillon, our South African company and brand, is primarily known for the fine perfumes and superb fragrant lotions which we supply to customers via our efficient national network of sales and distribution agents, we’ve also introduced a range of easy-to-use, very effective, and remarkably affordable skincare products (five daily routine, natural skincare formulations, plus a skin-brightening treatment cream). Papillon’s recommended selling prices are a fraction of what your customers may expect to pay for big skincare brands that spend millions on advertising, marketing, and fancy packaging. Without compromising on our top-quality, natural, and effective skincare ingredients, we keep our Papillon prices low by selling directly through a network of independent distributors. We package our products attractively and smartly, but devoid of unnecessary frills. Use the Papillon’s skincare info guide or download pictures below for detailed information on the range. Chat to customers to find out what’s important to them about their skin and its care. Share your relevant Papillon information and natural skincare benefits with them to address and satisfy their skincare needs – gently and naturally. Suggest that your customer purchases a starter skincare pack that allows them ample time to try and test formulations on their skin. This set consists of all 5 x 15-ml essential daily care products (face wash, scrub, toner, and day and night cream). Decant small amounts of your own full-sized Papillon skincare products to demonstrate and use on customers – preferably on the sensitive skin on the back of a hand. If we produced separate, tiny samples, the prices of these would reflect the higher container and packaging costs, leading to overall higher selling prices for our Papillon skincare products. It is a no-brainer for us, our sales agents, and Papillon customers that we would want to avoid this.